I heard a lot of great stuff about IFMSA exchanges from my friends who attended some of them in past. I decided to become a contact person to find out more about them, how they work and if it is all worth it for those exchange students. I saw that it definitely is. So at the first opportunity I got to attend a professional exchange, I grabbed it! And it is the best thing I could do. 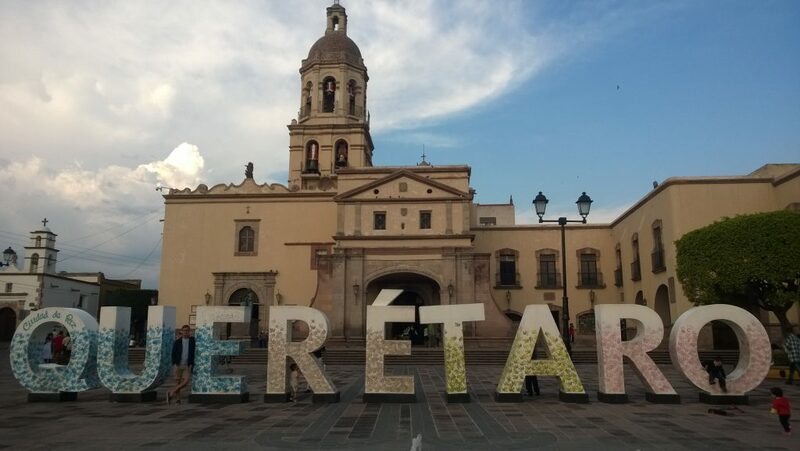 I spent a month in a Mexican city of Querétaro. It is a “small“ city with population of about 1.5 million people about 4 hour drive from Mexico City. You probably think I wanted to go to Mexico City, Guadalajara, Monterrey or other famous cities of Mexico and I ended in an unknown Querétaro just like that. But it is not true, I did not want to go to any of those huge cities. Querétaro was my first choice. My Mexican friend advised me to definitely go to central Mexico because of great location and true spirit of Mexico there (north is “too American“ and south is too touristic). And since it is not a big city (at least not big for Mexico) it was great choice for me. As well, I was told it is a beautiful historical town. And all of those was true. I was in touch with my contact person more than 2 months before my arrival. I got one cp and a LEO, who helped me with everything. The first thing I asked was how many students are going to be there with me during my stay. The answer was zero. I must say “thrilled” was not the feeling I had about it. But whatever, I took it as a big challenge with my knowledge of Spanish, which is actually none. My first priority was to learn as much as possible at hospital and I knew I am going to travel and have fun afterwards, when my exchange ends. My journey to hospital took around 45 minutes by bus. Since public transport in Mexico is not so comfortable and well-organised (actually, adventure is a good word) I decided I will travel to hospital by Uber in the mornings. It cost around 2 € and took just 15 minutes to get there. It means 30 more minutes to sleep! Thanks God for Uber. It was really the best way to travel in Mexican cities. I spent my internship at the department of emergency for one week and three more weeks at general surgery. I changed my department because of my zero knowledge of Spanish and doctors at emergency did not speak English very well. In general, Mexican people are not used to speak English even though they know to. They need some time to get used to you and to using English in spoken form. But hands-feet communication and smile can solve everything even though you do not speak Spanish and they do not speak English. At the department of general surgery I got a chance to see a lot and could assist during many kinds of operations – gastrointestinal surgery, oncological surgery, urological surgery, transplantation surgery etc. 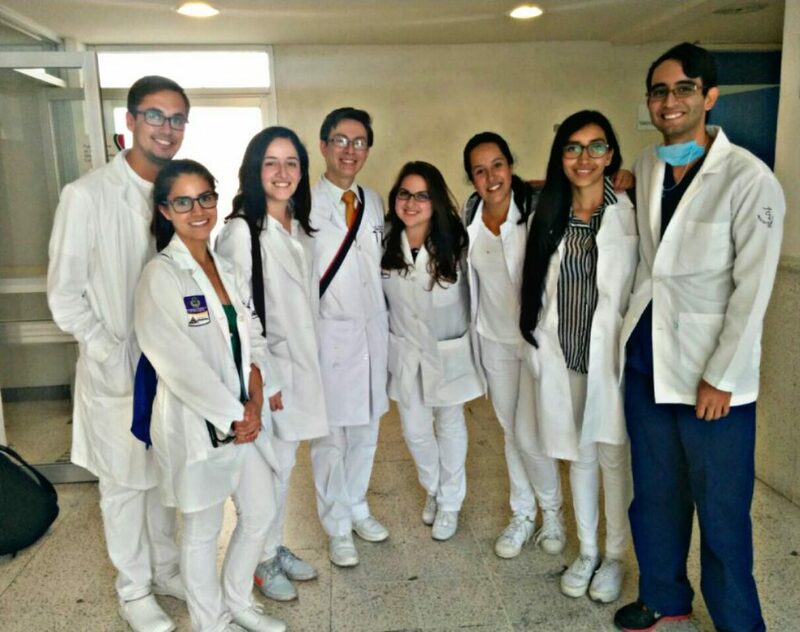 I really admire the work of doctors in Mexico, since the number of patients there is enormous. I got a feeling that the number of them did not change from 7 am I arrived to hospital until 4 pm or later when I was leaving it. They were still coming and doctors were working 24/7. During the weekends there is a lot where to go because of the good location I mentioned earlier – Guanajuato, San Miguel de Allende are towns not far away and both definitely worth to see. Or Bernal, nice little touristic town with Peña de Bernal – one of the tallest monoliths in the world, not an hour long drive from Querétaro. After my exchange I travelled for a few days. I visited Puebla – 4th biggest city of Mexico, which I consider the nicest town I have visited in Mexico. There I met some friends of mine and with one, I took a 9-day trip to Yucatán, peninsula in south of Mexico. After Puebla, we took a plane from Mexico City to Cancun where our journey started. Cancun and Isla Mujeres, it is a real paradise on earth. 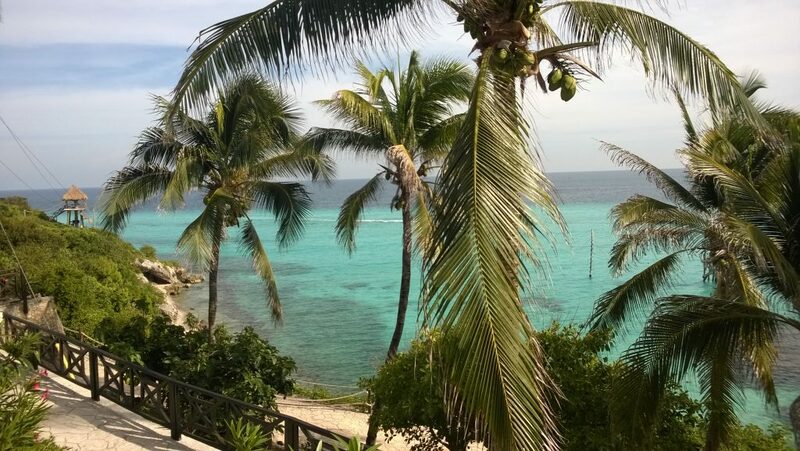 Beautiful beaches, palm trees and crystal clear water. Buy a glass of Margarita and enjoy the sunset. 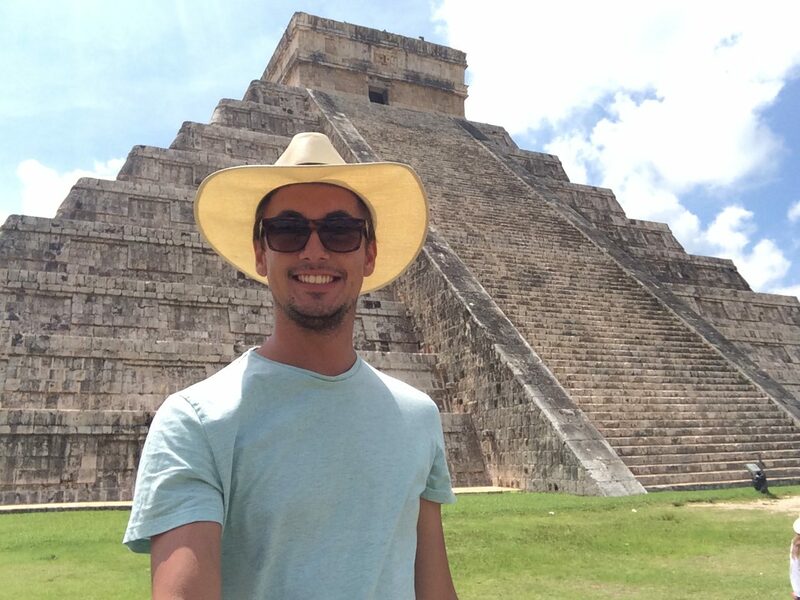 Next days, I saw Mayan ruins of Tulum, swam with turtles on Akumal Beach, tasted original Mexican chocolate in Valladolid, saw one of the new 7 wonders of the world – Chichen Itzá and danced salsa on the streets of Merida. Yucatan is just superb. For a night at hostel which was approximately 10 euros per night everywhere and an opportunity to eat street food which is delicious, it is really easy and cheap to travel around Mexico. When you consider how beautiful it is and how much Mexico can offer. 9 days was great, but I would definitely take 90 more! 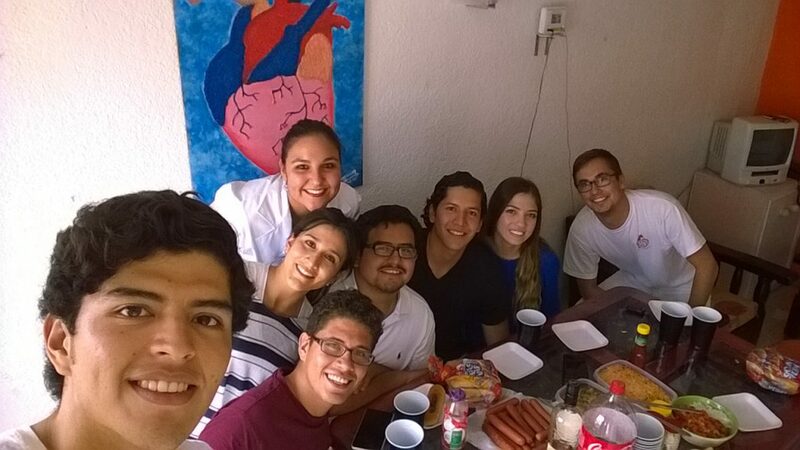 In conclusion: Querétaro was a great choice if you want to work and learn a lot at hospital. But it is probably much better to go there during august, when local students with whom you can hang out already have school are at home and are not on holidays out of the town. Since their SCOPE program is not so big, there will be no big group of incomings there anytime. If not Querétaro, I am sure it does not matter where to Mexico you go. Mexican people are very hospitable, helpful, happy and they are smiling a lot even though they often do not have a lot of wealth. Mexico is awesome everywhere you go and I experienced one of the best times of my life there. And Mexican food, oh God…I can say that just a plate of tacos is a reason which makes it worth to go to Mexico. Trust me :).